‘Thirst’ is an all-action, Ludlumesque thriller…an electric all-nighter supercharged with intellectual energy. 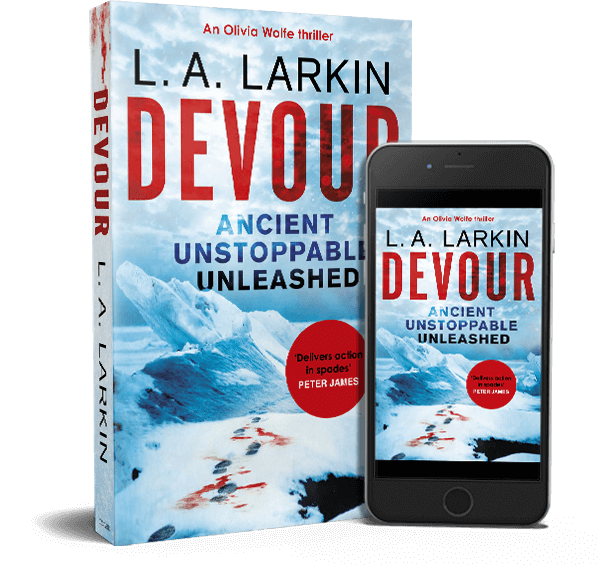 Larkin pulls you along at such a murderously frenetic pace that you begin to fear cessation; the suspense is inherent to the isolated setting- the vast silent vulnerable Antarctica. And its genuine terror you feel- of falling off this ride into the unknown. As the author’s namesake Philip Larkin put it: ‘Nothing, like something, happens anywhere, anytime’. When Marquez begins ‘100 Years of Solitude’, Colonel Buendia faces that very void courtesy of a firing squad, and reminisces about first discovering ice. Similarly, and chillingly, in ‘Thirst’s opening Mac discovers ice as his body bounces off a ledge ‘into the blue void’. 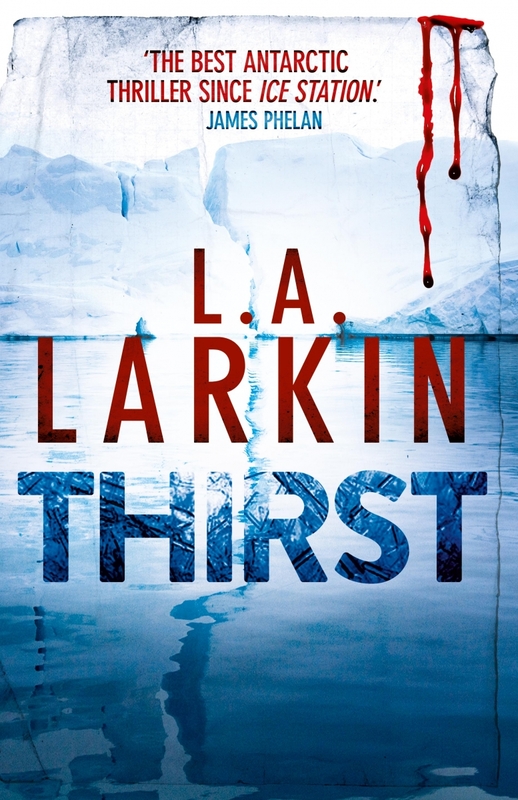 Larkin also gives a nod to two of the best thriller writers in their prime when she was born- Alistair Maclean and JGBallard. The former had his eco-political antagonists maneuvering soldiers and glaciologists on and under the Arctic ice, while the latter’s vision of a Drowned World (due to melting ice caps) is the blueprint for ‘Thirst’. This makes for great fun and nerve-wracking suspense, but not like the ironic hijinks in John Birmingham or Matthew Reilly books..in this case the stakes are just too high. As such, our hero Luke Searle has the backing of good science in his battle with the villainous eco-fanatics( as did the sharp Serena Swift in Larkin’s first blockbuster, ‘The Genesis Flaw’). But can reason and courage win out? When the Australian base Hope Station is lost, is all hope? In any case, this novel is a clever counterpoint to US climate novels like Michael Chrichton’s infamous ‘State of Fear’, and if it is true that we ‘read in quest of a mind more original than our own’, as Harold Bloom surmises, then ‘Thirst’ is an unqualified success.